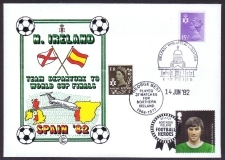 To assist new collectors into the hobby of Football Postal history we have assembled some mixed collections of top quality covers at below production cost. 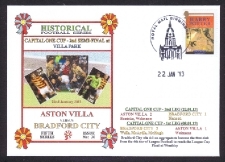 We have done this so as to cut down on lots of advertising and then passing the saving directly to the collector.The collections which may vary in content are carefully assembled to give a broad cross section of different clubs and events which have been commemorated. 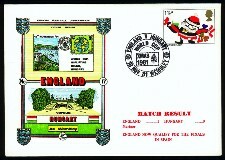 All covers will have a specially commissioned postmark to frank the stamp on the date of the event and the covers contain either an informative filler card or a superb limited edition postcard. 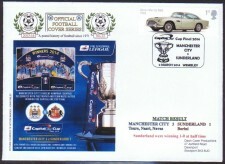 Each lot will contain covers from the Official Series including Cup finals, Internationals, Cup Finals, European matches etc. This collection of covers includes two very good recent issues for the Royal Opening of the Manchester Tram system - METROLINK and also the Sheffield Tram system. These two covers are both of a larger size but included in the collection are other Tram covers including ones from the National Tramway Museum. Individually the covers would cost over ú40. 10 Tram covers for only £25 + £2 for p & p incl insurance - a superb assortment including Officials, and Horse drawn to the latest.